In 1977, two probes were launched into space to study the outer Solar System. Voyager 1 and Voyager 2 are currently billions of miles from us, with Voyager 1 being the farthest spacecraft from Earth. Though coming up on nearly 40 years in space, both continually beam back their data and findings of the far reaches of space. 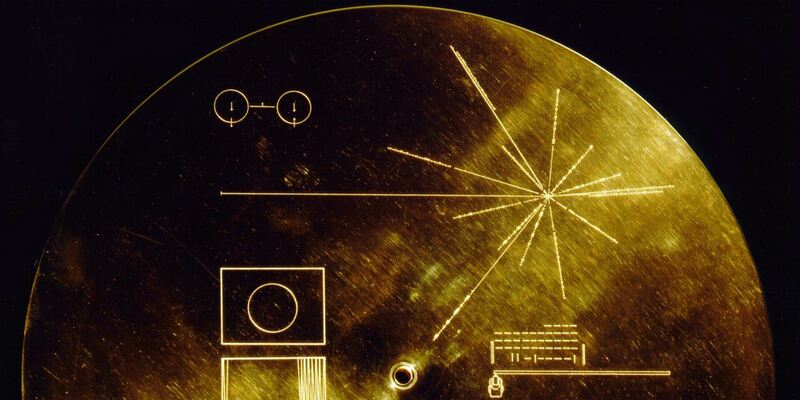 Each Voyager spacecraft is carrying a gold-plated disc, containing photos of Earth and its inhabitants, information about our planet, audio of various genres of iconic music, everyday interactions, and spoken greetings in 55 different languages. While the clips of audio might appear random, Carl Sagan chaired a committee in developing this record of the quintessential sounds of life on Earth. NASA uploaded the full soundtracks of these ‘Golden Records’ onto Soundcloud this week. You can listen to the entire Golden Records soundtrack of greetings and sounds on Soundcloud.